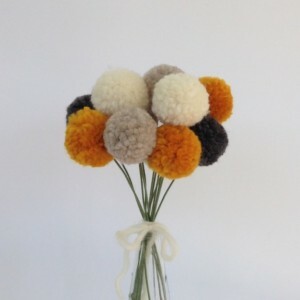 Beautiful bouquet of Pom Pom Flowers in Grey, Marigold, Cream & Oatmeal. These would look wonderful as a centerpiece at your wedding or at home on the coffee table. They have a rustic, country feel with a hint of kitsch! 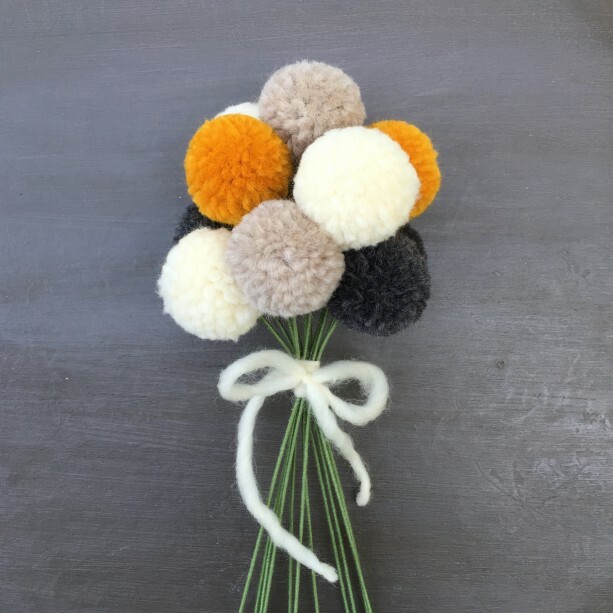 (vase not included) Overview ☞ Quantities: 1-dozen 1inch Poms atop wrapped floral wire, but if you would like more (or additional colors) please convo me, I love custom orders! ☞ Picture #4 shows additional colors should you want to customize your bouquet SHIPPING + DELIVERY ☞ Once complete, your bouquet will be lovingly packaged & shipped via USPS either First Class or Priority (at my discretion) with a delivery speed of 2-9 business days ADDITIONAL INFO ☞ I try to capture the truest colors of each item as best as possible but variations in computer screens may vary slightly compared to actual item colors. 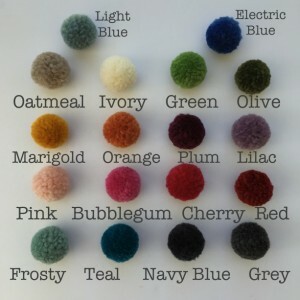 ☞ All my items are handmade, by me, with quality materials and love! Cheers!